Born in Poland, Danuta Eriksen felt completely at home when she moved to The Danish Home of Chicago in March of 2017. That’s because her late husband was Danish and so much of the couple’s life revolved around Danish foods and customs. In all, Danuta has been to Denmark six times. “Our home was everything Danish,” said the former Danuta Burkot, who came to America from Poland in 1967. “My husband had five sisters, and we had a beautiful collection of Scandinavian plates, figurines, vases, porcelain,” she said in the Polish accent that tinges her perfect command of the English language. 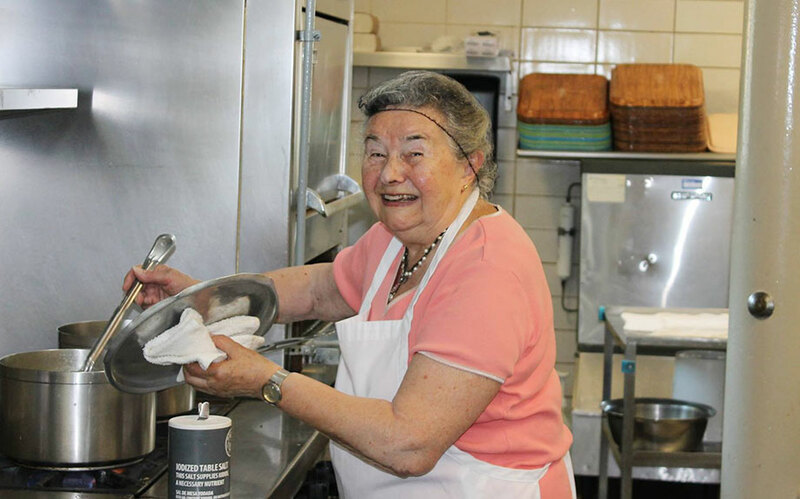 Even before she made the boutique senior community her new home, Danuta had several friends associated with The Danish Home and was a dedicated volunteer at its annual Summerfest, preparing the popular smørrebrød (open-faced sandwiches) her husband loved so much. Danuta’s activities at The Danish Home extend far beyond the kitchen. “Two and a half years before I moved here, I talked to (The Danish Home president and CEO) Scott Swanson, who told me that I shouldn’t come too late so that I can enjoy life here and all there is to do.” She has eagerly taken his advice. In June, Danuta joined residents and staff for a visit to the Art Institute of Chicago’s “Georg Jensen: Scandinavian Design for Living” exhibit. “It was really nice to see all the beautiful silver, plates and vases that I saw in so many Scandinavian homes,” she remarked.